‘Be Shark Smart’ is an important mantra during the summer months in Cape Town, South Africa. 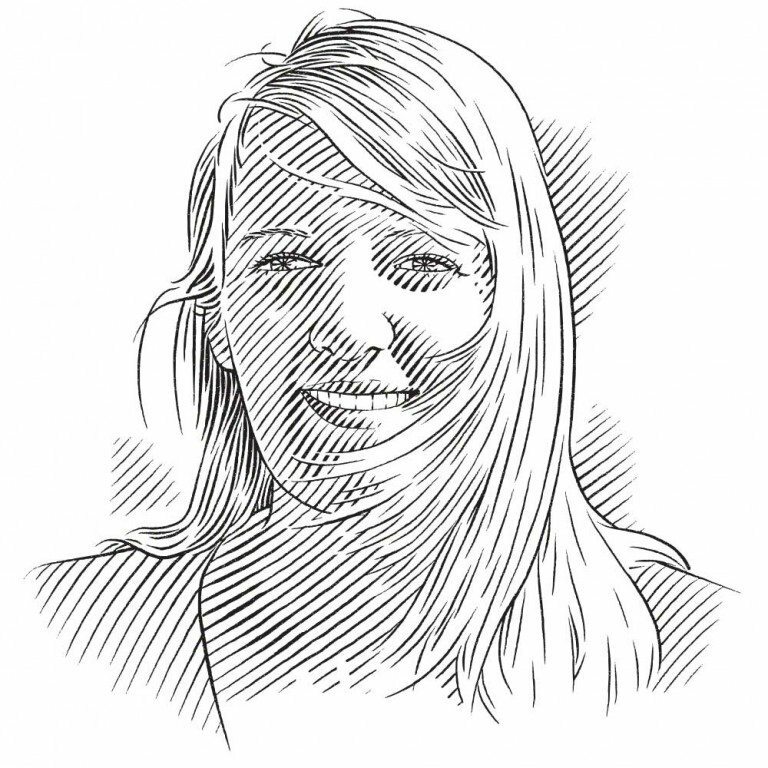 Alison Kock describes how a new Shark Spotters app will help beach-goers to stay safe and informed. Shark Spotters has launched its latest innovation in sustainable shark safety solutions: a new mobile app that will help swimmers and surfers to ‘Be Shark Smart’ at Cape Town’s beaches. Inspired by requests from the community, this unique app provides water-users with current and accurate shark safety information in the palm of their hand, so that they can make informed decisions about the risk of an encounter with a shark before they even arrive at the beach. Over the past 12 years, Shark Spotters has become a household name in Cape Town. Most water-users opt to use beaches in False Bay that are covered by the programme and when they arrive are sure to check the Shark Spotters flag and noticeboards to find out about the latest shark sightings and spotting conditions. But what if you have to travel from far to get to your favourite surf spot and when you arrive you see that the red flag is flying, indicating a high shark alert? Or what if you want to know whether the shark exclusion barrier has been deployed at Fish Hoek before you venture down to the beach? It was questions such as these that prompted the development of the mobile app to provide real-time information, enabling us to render a more efficient and effective service to the community. The Shark Spotter app provides water-users with all the latest shark safety information at the beaches where we operate, including which flag is currently flying and why (such as poor spotting conditions due to cloud cover), the latest shark sightings at that beach, water temperature and lunar phase, and whether or not the shark exclusion barrier at Fish Hoek has been deployed. It is updated by the spotters on duty in real time, so users can be assured that they always have the most current information at their fingertips to help them make a personal assessment about shark risk when entering the water. 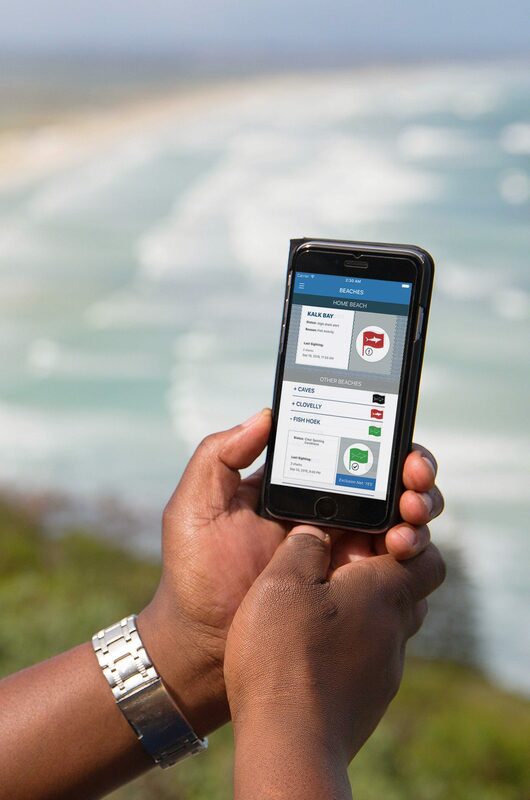 The app also provides users with safety tips to reduce their risk of encountering a shark, as well as information about shark activity around Cape Town and the different aspects of the Shark Spotters programme. Shark Spotters believes that education and awareness are key to a successful shark safety strategy. We are confident that the development of this app will help us to provide factual, accurate and up-to-date information about sharks and shark safety to the public so that individual beach-goers can make informed decisions about entering the water. It will also, we believe, ultimately assist in reducing the number of shark bite incidents in our area. As well as providing shark safety information, the app tells the local ocean-going community about much more of interest, including weather conditions, marine animal activity in the area (such as whales, seals, dolphins or sunfish) and details of amenities on the beaches. It also offers a short surf video, an invaluable tool for those isolated surf spots that are covered by the programme but where webcams are not operating! All these features are included in the initial version of the app, but we hope that, after receiving feedback from its users, we will be able to incorporate their suggestions and make the Shark Spotters app an invaluable beach safety and information tool for all Cape Town’s beach-goers. The app has been developed in conjunction with Taproot Technologies and funding for it came from a successful online public crowdfunding campaign, as well as generous donations from local business BulkSMS and the Two Oceans Aquarium. By securing this funding upfront, we have been able to supply the app to the public free of charge, ensuring that everyone has access to and can benefit from this important shark safety tool. We are very grateful to all individuals and organisations that contributed to making the app a reality and are very excited to be able to provide this additional service to the community. The app launched in October 2016 at the beginning of the spring/summer season, when the spatial overlap between recreational water-users and great white sharks around Cape Town is at its highest. More than a thousand downloads were recorded within the first two weeks, and the app is anticipated to be widely used by locals and visitors alike. The Shark Spotters app is available on iOS and Android platforms and is free to download.